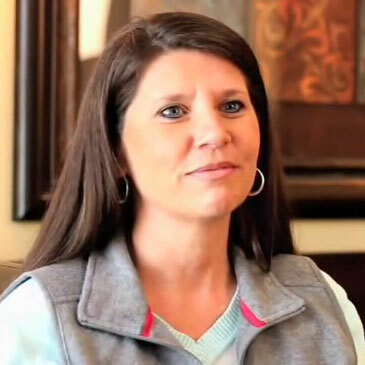 The Kelly Rider Story - Nashville Personal Injury Lawyers The Kelly Rider story is a moving story about an auto accident victim who was severely injured and pressured by an insurance company. I have three active children, all in sports, so we were always on the go. Very involved in our church. We were always going some where, doing something, until the day the accident occurred. On December 17, 2007, Kelly came by and brought me lunch. We had lunch in the parking lot and had a great day. I dropped him off at the guard shack as always, told him bye. I pulled up to the red light and as I got ready to pull out the gentlemen in the dump truck ran the red light and hit me in my drivers side door. I heard this horrific crash out front and I immediately knew it was her. It just hit me, I knew it was her. The next thing I remember was a gentleman at my side, at the door and I remember telling him that my husband worked there at Peterbuilt. I did my best to comfort her at the scene as they were cutting her out with the jaws of life, I was holding her hand and telling her everything was going to be okay. My head was pounding and I remember thinking it couldn't hurt any worse. I felt like it was going to explode. From the point of them cutting me out of the vehicle, I was transported by ambulance to Vanderbuilt. I had multiple breaks to my pelvis, a hip fracture, my ribs were broke, I had a laceration to the back of my head, my earlobe had been severed and I had a concussion. After I was released from the hospital, when I got home, for about 3 to 4 weeks I was laying flat on my back. I literally couldn't get up to go to the restroom without my husband physically picking me up and taking me. From there I actually was able to get into a wheelchair and I was in a wheelchair for about 3 to 4 months. After a lengthy recovery, Kelly was eventually able to walk again. She still has problems today with her memory, headaches, back pain, hip pain, her legs hurt. She is just constantly in pain. Because we had to bring a lawsuit in this case, I felt like we were the ones who were under attack by the insurance company as if we were the ones who caused these problems ourselves. We learned through depositions that the driver believed that he was only driving 5 to 10 miles per hour at the time of the impact. We were able to obtain a video of the accident and later determined that he was driving approximately 45 mph. During the trial some things came out, the truth came out about this insurance company's tactics and the way that they treated my wife. They hired a court room doctor to say I was a liar, a fraud and a cheat. On August the 28th, 2011 we began a 5 day jury trial where the jury came back with a verdict in our favor. I feel like now that we can put this chapter behind us with this trial completed and we can move on with our lives and try to forget about what has happened. Not only through the process of this trial did John help us along the way but I feel like we have gained a friend through this and he has been a friend to us through the whole thing. I am thankful for this to be behind me, I am ready to move forward and to be able to spend the time and focus on my family. I am ready for a new beginning and a new journey.